Baker’s Dozen Coffee Beer and Doughnut Festival – Delicious Donuts! I am so excited about the chance to eat doughnuts and drink coffee beers that I can barely wait for Saturday, March 12! The Baker’s Dozen Coffee Beer and Doughnut Festival is a chance to sample 13 coffee beers and 13 doughnuts in one day, while enjoying music and a brand new Decoration Station for the children! Hosted by Brian Yaeger Presents and Culmination Brewing, this event is bound to please – dough nut miss it! 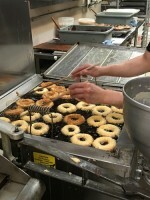 This year’s Decoration Station is hosted by our feature artist of the day – Delicious Donuts! We were able to pull Penny out of the Delicious Donuts kitchen to have a brief chat about their participation in the upcoming scrumptious event, taste test a few items, take some photos, and get to know the owners, Penny and Boun – who treat everyone like family. I think that’s what impressed me the most about this couple – love of family and our local community is the key ingredient in every single donut, breakfast burrito, and coffee drink – you can taste the love! Penny and Boun have been in their Grand Avenue location since 2005, and have had many of the same loyal customers since day 1! The customers who arrived while I was munching my chocolate covered old-fashioned donut were all greeted by name. Penny graciously gave a shout out to several local businesses who support the shop, as well as delivery services that will drop off the tasty treats. The interview below is short, but very sweet, as Penny is an enchanting and delightful host. 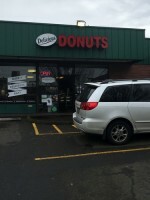 Delicious Donuts has a loyal following, and they give back to their customers with amazing specials every day of the week! This great relationship between Penny, Boun, and their neighborhood led Delicious Donuts to want to reach out even more into the community and help to build a spirit of giving, charity, and kindness. Penny discovered Dollar for Portland, a local organization that assists families in paying medical bills…one dollar at a time. Penny and Boun believe, along with Dollar for Portland, that one person giving even a small amount can make a difference when people come together with good intent and purpose. 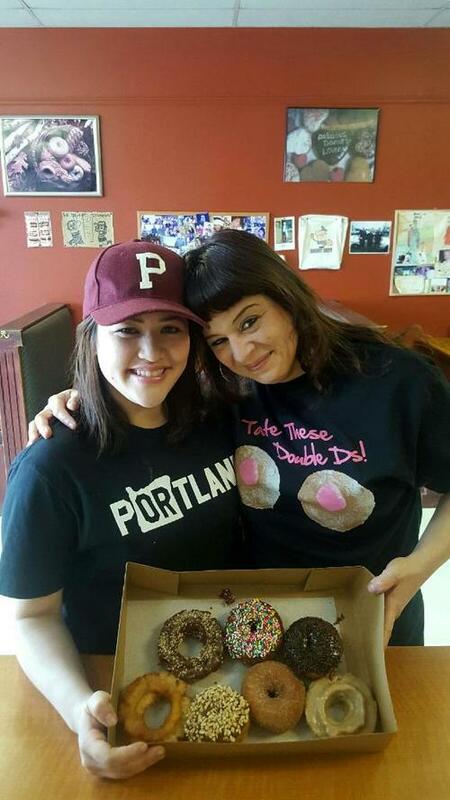 With this in mind, Delicious Donuts has offered to have Dollar for Portland take over their shop on Monday, February 22 in a special event! 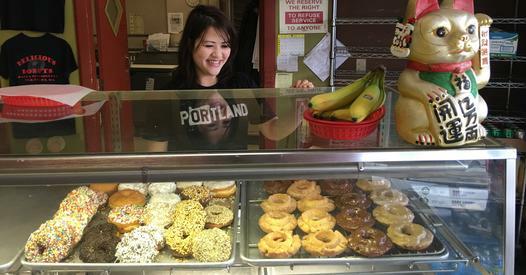 Anyone who signs up to participate in the Dollar for Portland program (only $1 per month donation) will receive a free donut! Party is at Delicious Donuts, 12 SE Grand. Sharing a taste of Delicious Donuts’ apple fritter, along with the other bakers in the Baker’s Dozen Coffee Beer and Doughnut Festival will be a delight! Meeting all the people behind this creative community event will also be delicious! For tickets, a list of all participants, and more about the event, please visit the Baker’s Dozen Coffee Beer and Doughnut Festival website.